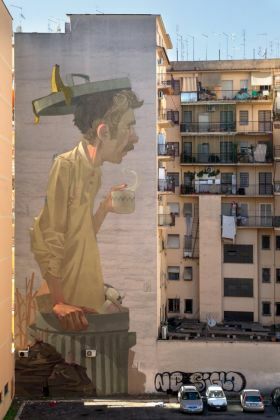 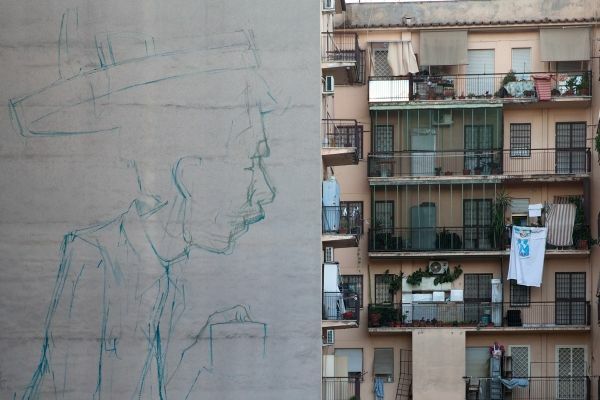 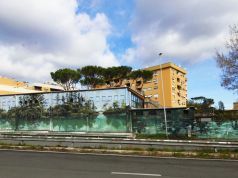 A giant mural depicting a man surfacing from a rubbish bin and sipping a coffee has appeared on an apartment block in the east Rome district of Torpignatarra. The 32-m high image is the work of Polish street art duo Etam Cru, otherwise known as Bezt and Sainer, and covers the side of an eight-storey residential building between Via del Pigneto and Via Pavoni. 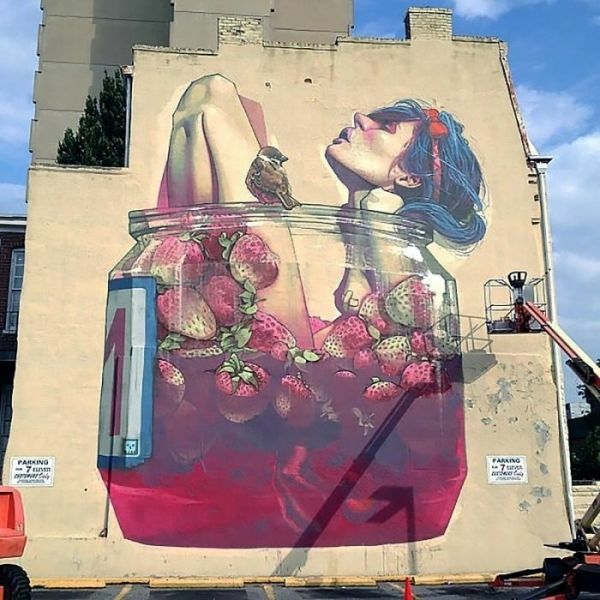 Etam Cru has carried out gigantic works across Europe and the US, and the duo's hyper-realistic style is characterised by vivid colours, fantastic imagery and large dimensions. The pair recently made headlines in Virginia with Moonshine, a mural depicting a punk girl bathing in a jar of strawberries. 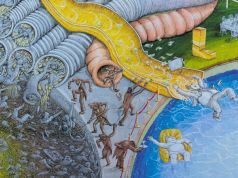 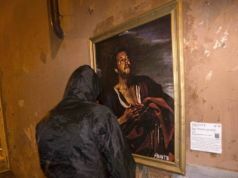 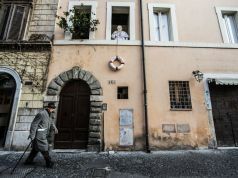 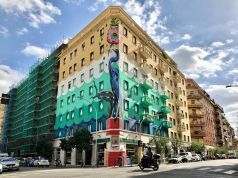 The Rome mural was commissioned by the local city council with the supervision of Galleria Varsi, a dynamic gallery near Campo de' Fiori known for its stable of street artists, and which currently hosts an Etam Cru exhibition entitled Bedtime Stories. 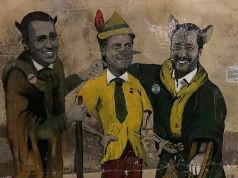 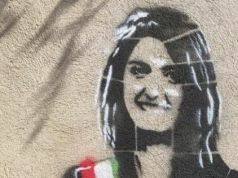 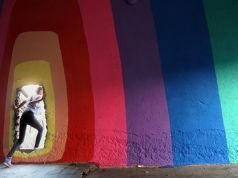 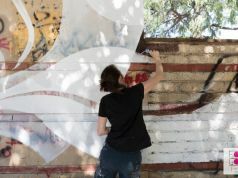 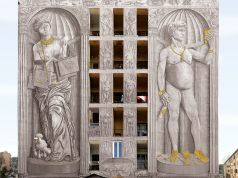 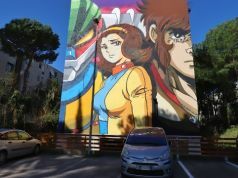 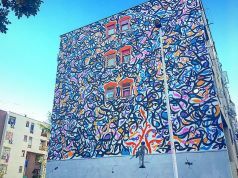 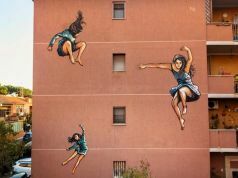 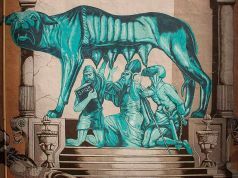 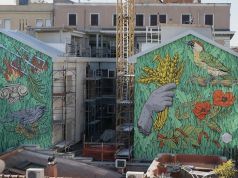 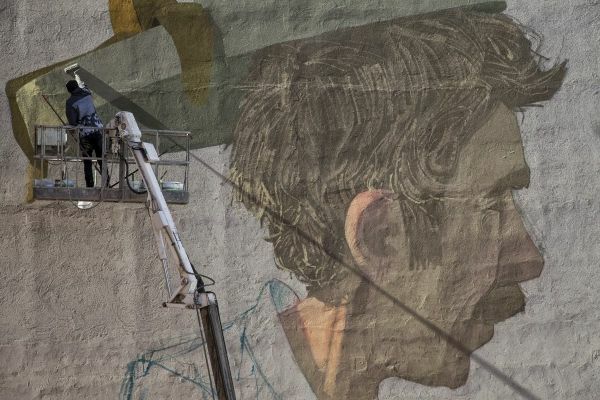 The Torpignatarra mural is the latest edition to Rome's growing collection of street art, and follows the recent work by Italian artist Blu in the Ostiense district, as well as the ongoing Outdoor Urban Art Festival in S. Lorenzo.